The Rhinos defeated the USL 2nd Division's Cleveland City Stars 1-0 on Saturday. Hamed Diallo scored his second goal of the pre-season to provide the visitors with the win. If you want to get a first hand look at the new Rhinos, you can come out to PAETEC Park tonight as the Rhinos host Hartwick College at 6pm. Admission and parking is free, so you have no excuses! Matt Ford told Devo on Friday's press conference at Famous Dave's BBQ that the club was close to signing two more players. The internet rumor mill is saying that one of the signings is former New England Revolution and T&T National Team defender Avery John. Also, there are reports that Kenney Bertz has posted on his Facebook page that he may be headed back stateside. Since the Rhinos own his US pro rights, perhaps he will be suiting up for the Rhinos as well. I'm liking how this roster is shaping up! Add Rob Clark to the list of people that want nothing to do with Steve Donner. And after Steve's performance during the Amerks post-game show last evening, my guess is that Jeff is less than thrilled with the former Rhinos owner. After having met Rob Clark once, it is laughable to me that Steve Donner could sit there and say with a straight face that Jeff baited Rob Clark in to making the comments that he did. Rob Clark doesn't need to be baited to give brutally honest commentary on people. Some of that came out in the Part I & Part II of an interview with Ryan Whirty. But then again, does Steve Donner really have even a shred of credibility left at this point? 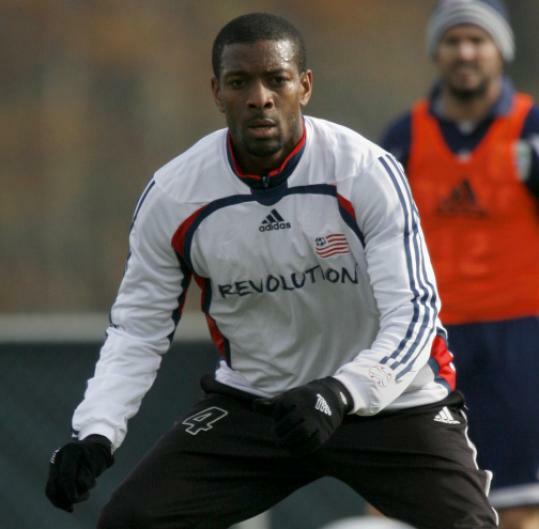 - Former DC Untied forward, and Rochester native, Jamil Walker is on trial with the Carolina RailHawks . Walker scored Carolina's goal in a 1-1 pre-season draw with the Minnesota Thunder yesterday. And check out this pic of a Rochester native and a former Rhino! - Which was the more stunning MLS result this week? Toronto defeating LA 3-2 or Real Salt Lake pounding DC United 4-0? I have to vote for the Real Salt Lake win. - Steven Goff has his version of The Good, The Bad, and The Ugly for Week 3 of MLS play. - USL 1st Division play opened on Saturday night with Charleston and Miami tying 2-2 and Vancouver defeating Montreal 1-0. The mind blowing stat from the Vancouver win is that it was the Whitecaps first goal at home against Montreal since June 4, 1998. - Here is a good poll - Which is a better neighborhood, where PAETEC Park is located or where they are building the stadium for the Philadelphia MLS team? - Steve Pastorino likes what Seattle Sounders FC is doing so far. - If you want in on the auction of jerseys worn by Cosmos players at the Red Bulls VIP game, which was played prior to the MLS club's home and season opener at Giants Stadium April , then head on over to eBay.